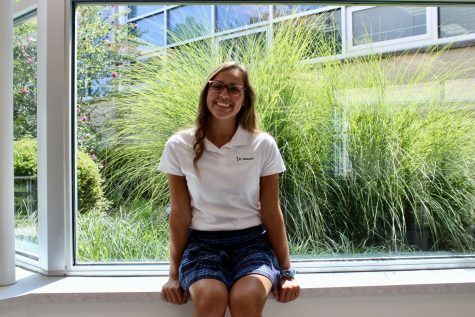 Brooke Wood is a senior here at St. Dominic High school. She is involved in CRU and the Outreach and Ambassador Clubs. In her free time you can catch her cradling down the lacrosse field or hanging out with friends. Brooke's lived in four different states, her favorite being Hawaii. She loves wearing fun socks, going hiking and spending time with her family!